As a strategic advisor, I am often asked to guide clients and audiences along the path to define, clarify and/or redefine mission, vision and value proposition. The why. The reason they exist. It is an understatement to say that the conversations are inherently intricate, arduous and eye-opening, even for the most sophisticated managers. Achieving such a refined level of awareness and lucidity is no small task for any business leader, and inspires me to consistently reflect on both a personal and professional level as to my own “why“. After all, if I expect entities to engage me for my expertise on the topic, I have to be prepared to “walk the walk…not just talk the talk“. 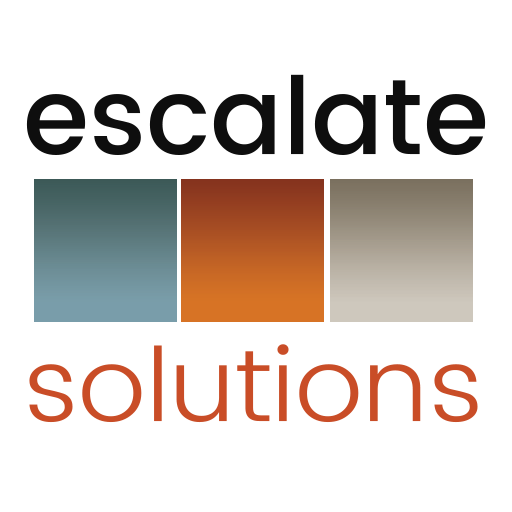 My mission as Chief Executive Officer | Chief Strategy Officer at Escalate Solutions has been clear and succinct from the moment I launched the business: I aim to maximize the complex process of Strategy in order to help organizations succeed, overcome, grow, scale and sustain. It is a subject that I am tirelessly passionate about – consistently investing in research, education and thought leadership – so that I have the tools to help others achieve their goals. One of the assertions about Strategy frequenting today’s headlines, of course, relates to emerging capabilities in such areas as big data, analytics, artificial intelligence and machine learning. More specifically, that advancements in these realms are making Strategy less valuable, if not completely irrelevant. My response to those individuals and consulting groups is that they seem to be buying into inaccurate social media definitions and stereotypes – going so far as to declare that they don’t appear to comprehend what Strategy actually is. The following may help those leaders “rebrand” and engage the critical concept of Strategy within their organization. Perhaps the greatest impact of technological advancements has been to shorten the life cycle of these phases and to require that they be conducted continuously and more frequently (raise your hand if you are a millennial that has even heard of a five-year business plan?). Similarly, as organizations shift to growth and sustainability mode, it is highly likely that they will be developing and monitoring several strategic initiatives at once. This doesn’t mean, though, that the value of Strategy has changed on a broad scale. Yes, the individual elements have evolved unequivocally, especially when it comes to capabilities related to Optimization & Refinement, but the overall process and its importance in long-term growth, scaling and survival has not shifted. 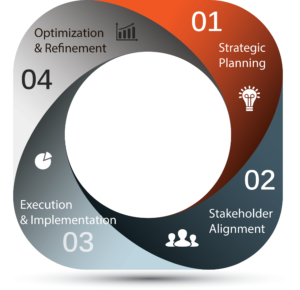 Escalating organizations must be both deliberate and responsive, and a successful Strategy lies at the heart of both. In an age of technology defined by advancements evolving more rapidly than most organizations can digest and apply them, Strategy is the much-needed compass interpreting and directing all of the unknowns. This entry was posted in Artificial Intelligence, Big Data, C-Suite, CEO, Entrepreneurship, Growth Strategy, Kimberly Arnold, Small Business, Value Proposition, Values, Vision. Bookmark the permalink.